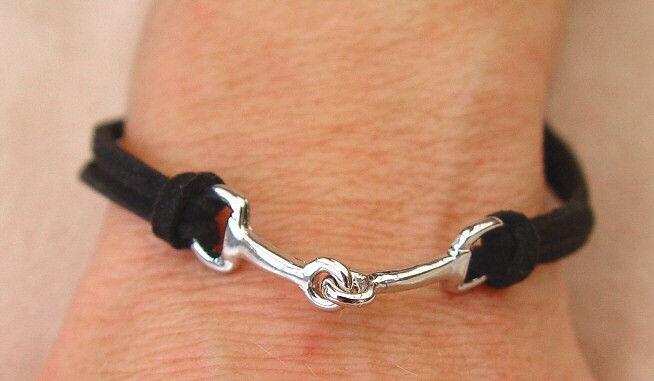 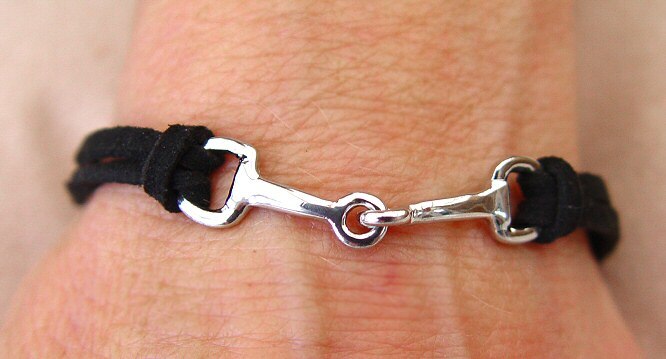 A snaffle bit on a double-strand black suede bracelet. 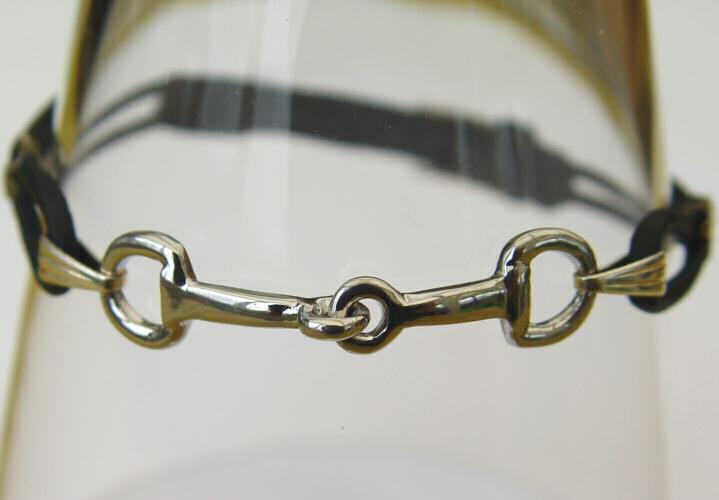 The overall length of the bracelet is 19cm (7.5 inches) but fastens with a silver plated lobster clasp, and a 5cm extension chain, making it adjustable between 19cm and 24cm. 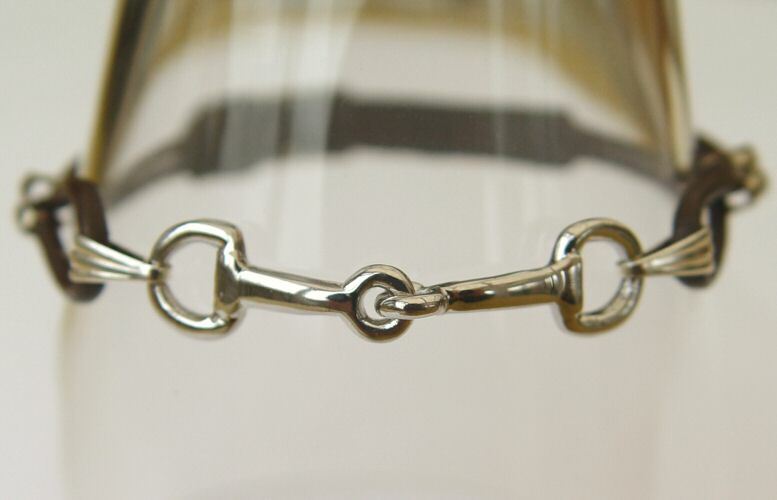 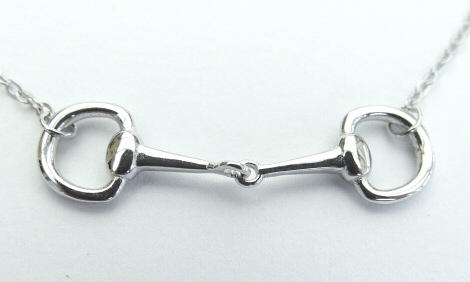 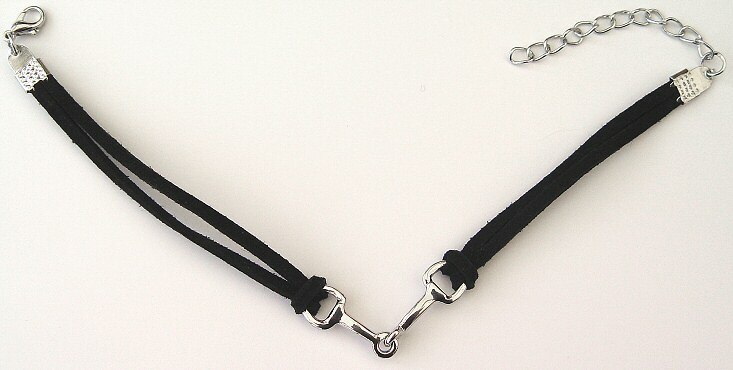 Short Description:- A silver plated snaffle bit on a double-strand black suede bracelet - adjustable between 19cm - 24cm.